Bananas are said to be very effective in helping with natural hair growth, helping with hair loss, fighting dandruff and help to prevent premature greying of natural hair due to its potassium content. Regular use of this banana mask will also result in silky smooth hair. 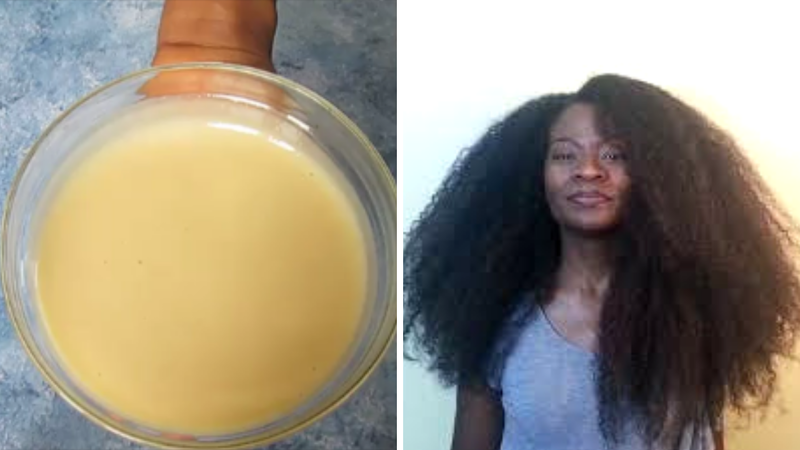 Coconut milk: Coconut milk does a lot for natural hair. It is used as a conditioner to soften the hair. It is high in beneficial fat, and this makes it an efficient way to soften the hair for manageability. Its molecules are excellent at penetrating the hair shaft so you can be sure coconut milk will not just sit on the hair. It also strengthens because of its high protein content. The milk contains 5 grams of protein per cup, making it efficient for restructuring the hair shaft.